On October 19, Europe's Schiaparelli Mars landing mission culminated in an unexpected failure. According to images captured from orbit by NASA's Mars Reconnaissance Orbiter, it ended in a spectacular crash-landing and possible explosion. But despite the landing not going according to plan, there is reason to count Schiaparelli's mission as a partial success. On the Mars-exploration side, since Schiaparelli did not deliver its small suite of scientific instruments safely to Mars' surface, no Mars-related science was accomplished. These instruments were designed to function for a few days, taking measurements of the landing site in the dry sea-bed of the planet's Meridiani Planum—but this was not the primary purpose of the mission. The Schiaparelli lander is part of the European Space Agency's bigger "ExoMars" program that's aimed at searching for signs of life on Mars. 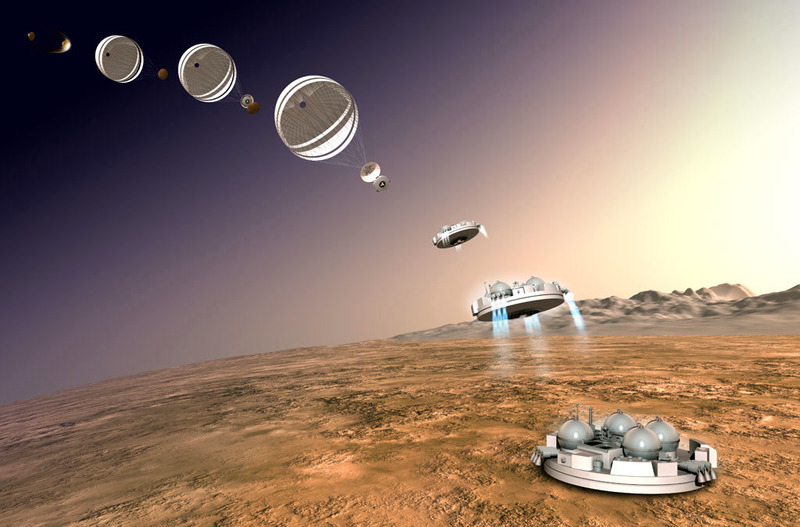 Schiaparelli's main purpose was to test landing systems technology in preparation for a future mission, the ExoMars 2020 rover, slated for launch in 2020. Data collected during Schiaparelli's descent before communications failed a minute prior to the planned landing will provide valuable engineering data toward improving the ExoMars 2020 rover's landing systems. A successful landing would have been great of course, but we often learn more from our mistakes than our successes. The hope is that analysis of the data collected during descent may actually increase the 2020 rover's chances of a successful landing. Schiaparelli was dropped from the Trace Gas Orbiter spacecraft. 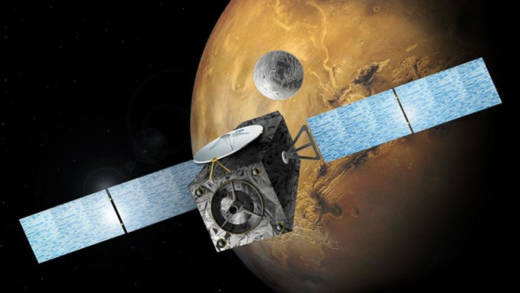 The pair are the first of the series of missions in the ExoMars program, a partnership between the European Space Agency and the Russian Roscosmos State Corporation for Space Activities. The Trace Gas Orbiter's mission is to analyze the composition of Mars' upper atmosphere and look for trace amounts of gases like methane that might indicate biological activity on Mars. Data relayed back to Earth from the Trace Gas Orbiter indicates that at least some of Schiaparelli's landing systems functioned properly. The heat shield was ejected and the supersonic parachute was deployed. However, the parachute appears to have been ejected prematurely, and the six rockets responsible for slowing the lander through a gentle descent appear not to have fired for as long as they were supposed to. Schiaparelli may have fallen freely for a mile or two and hit the surface at over 180 miles per hour. Its fuel tanks, possibly still containing unspent fuel, may also have exploded on impact. Images of the intended landing site captured by the Mars Reconnaissance Orbiter appear to confirm the violent nature of Schiaparelli's planet fall. 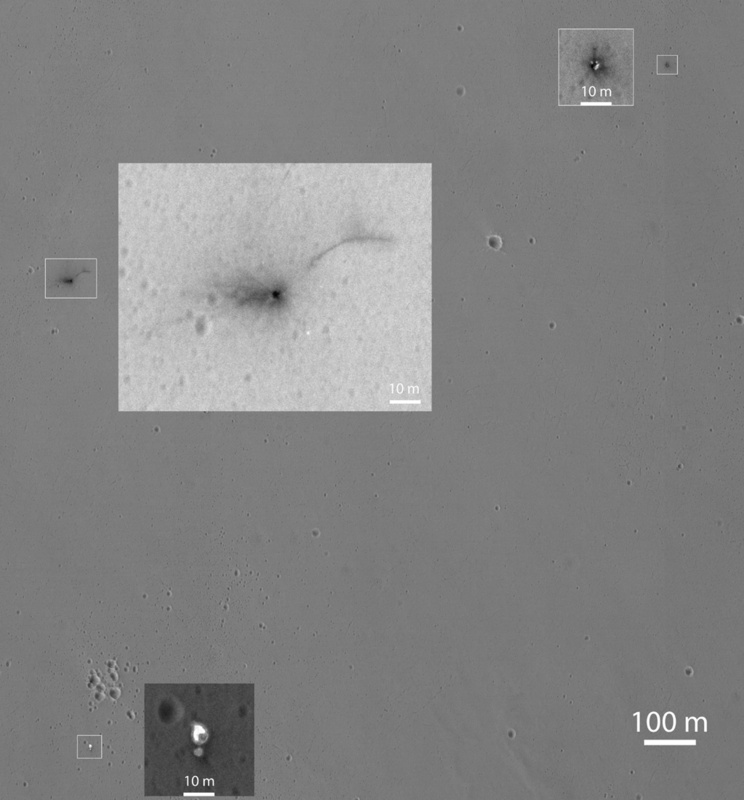 The images show Schiaparelli's severed parachute in one location, the impact site of its heat shield in another, and the dark burn-like smudge of the impact site of the lander. Who's Winning: Earth or Mars? Depending on how you keep score, out of a total of about 53 attempted missions to explore Mars since the early 1960s, about 30 can be written off as failures—including two or three that might be rated as at least partial successes. These include spacecraft that failed en route to or after arrival at Mars (20), as well as failures at the time of launch from Earth (10). That leaves a balance of around 23 successful missions. Of these, eight—two rovers and six orbiters — are in operation today. Schiaparelli's demise should be a reminder that sending spacecraft out to explore distant reaches of the solar system is a very risky venture. But we should not lose sight of all that we have learned about places like Mars, even when less than half of the spacecraft accomplish their goals. If the ExoMars missions ultimately turn up what they are designed to look for—the existence of extraterrestrial life on Mars—then maybe history will count the Schiaparelli mission's partial failure more on the partial success side of the score card.